The “HR Strategy for Researchers” (HRS4R) supports research institutions and funding organisations in the implementation of “The European Charter for Researchers” and “The Code of Conduct for the Recruitment of Researchers” in their policies and practices. The implementation of the Charter & Code by research institutions will render them more attractive to researchers looking for a new employer or for a host for their research projects. The award “HR Excellence in Research” identifies the institutions and organisations as providers and supporters of a stimulating and favorable working environment. Step 1 –Internal gap analysis according to a standard template grouping the Charter & Code principles in 4 areas (‘Ethical and professional aspects’, ‘Recruitment’, ‘Working conditions & social security’ and ‘Training’). Step 2 – Publish the “Human Resources Strategy for Researchers” in the Institutional website. Step 3 – European Commission “acknowledges” that the participating research institution or funding organization has adopted a Human Resources Strategy for Researchers. Step 4 – Implement “HR strategy” and conduct a self-assessment. Step 5 – External evaluation every four years after the HR award, the research institution or funding organization drafts a short report, showing the progress made towards the objectives of its HR Strategy for Researchers and its compliance with the principles of the Charter & Code. The H2020 Annotated Model Grant Agreement (General MGA: August 2014) devotes Art. 32 to ‘Recruitment and Working Conditions for Researchers’. This article is not an evaluation criterion; therefore following a check, audit, extension of audit findings, review or OLAF investigation, the H2020 grant beneficiary may be requested to provide evidence that Art. 32 has been duly applied. Within this frame, the HR logo may be considered a proof-although not the only one-of the implementation of the Charter and code principles. In June 2016, IIS Princesa signed the Declaration of commitment to the principles of “The European Charter for Researchers” and “The Code of Conduct for the Recruitment of Researchers” with the objective to improve the working conditions for researchers, thereby making IIS Princesa a more attractive place to do research. IIS Princesa started to implement the Charter & Code in October 2016. Previously, an internal gap analysis established the improvement actions required for an action plan for the following four years. The initiative was well received by the direction of the center, and from the first moment they were actively involved in the implementation. From June until now, the IIS Princesa has been immersed in taking measures more adequate to The European Charter & Code for Researchers. In this direction and taking into account the principles of the Charter & Code, IIS Princesa has developed next to Roche, the first edition of the Scholarship “Stop Fuga de Cerebros”. With the objective to establish a framework for postdoctoral research training, by an experienced tutor and with an active project. In the evaluation system for candidate it was value the publication, but also the national and international movility, their previous researcher experience, including the figure of the Tutor, in order to supervise the postdoctoral researcher. IIS Princesa is compromised with the important of be competitive nationally and internationally and strongly believe in the necessity to give good working condition in order to reach this objective. 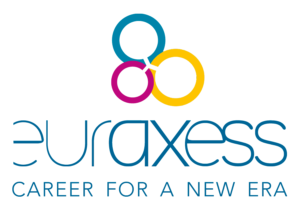 Euraxess, is a unique pan-European initiative delivering information and support services to professional researchers. It supports researcher mobility and career development, while enhancing scientific collaboration between Europe and the world. Currently Euraxess, has more than 500 centers of which more and a hundred are from Spain. EURAXESS Spain, which is part of a European Commission initiative to help mobile researchers, provides information on job and funding opportunities and on administrative procedures that affect researchers and their families when moving to a foreign country. They provide free of charge assistance to researchers and their families in matters such as visas, recognition of diplomas, social security and any other legal and cultural aspects.